Kentucky Diva boosted her residual value winning a restricted staying race at Sandown on Sunday for Laurel Oak Bloodstock (FBAA). Trained by Team Hawkes, the 5yo mare won second time out at Hawkesbury in June before transferring to the stable’s southern satellite. “Laurel Oak bought her knowing she would need time,” Wayne Hawkes said following a convincing victory in a BM64 over 2100m. “She’s starting to put it together and really hit the line hard today." Kentucky Diva is by Fastnet Rock from Valkyrie Diva (Jade Robbery) and buying into her family was a ‘no brainer’ at the 2015 Inglis Melbourne Premier. She was sold by Milburn Creek on Day 2, as agent for Makybe breeder Tony Santic, to Laurel Oak manager Louis Mihalyka. Her dam Valkyrie Diva is a younger half-sister to Makybe Diva and would always be overshadowed by the Melbourne Cup’s modern-day icon even though she was good enough to win a G3 Tesio Stakes at Moonee Valley. Laurel Oak finished last season with a successful strike-rate that ballooned thanks to Smart Amelia, Like A Shot, Vaucluse Bay & Sweet Scandal. 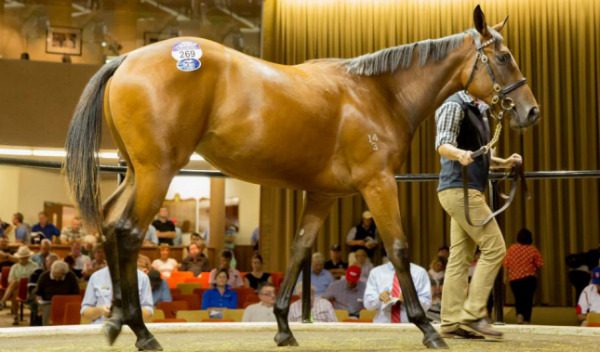 The winning run can continue courtesy of another Laurel Oak – Fastnet Rock purchase at the 2015 Inglis Premier. A Day 1 graduate at $140,000, he was named Accelerato and placed with Tony Noonan at Mornington. Accelerato carried Laurel Oak’s colours to a Bendigo maiden win as a winter 3yo prior to a year on the sidelines. He came back with fast-finishes over 1000m at Sale and Morphettville last month ahead of several options this week. Noonan has accepted for the Danihers Drive MND Hcp (1100m) at Bendigo on Wednesday, however, if barrier 16 is too much of a challenge, there are fall-back noms for Flemington and Moe this Saturday.